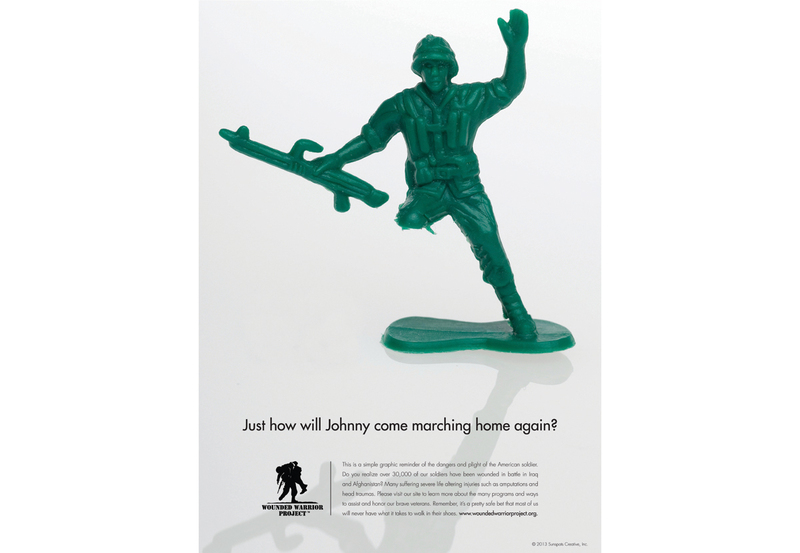 To create awareness of the dangers and plight of the American soldier in battle we designed our own pro bono poster and promotional campaign. 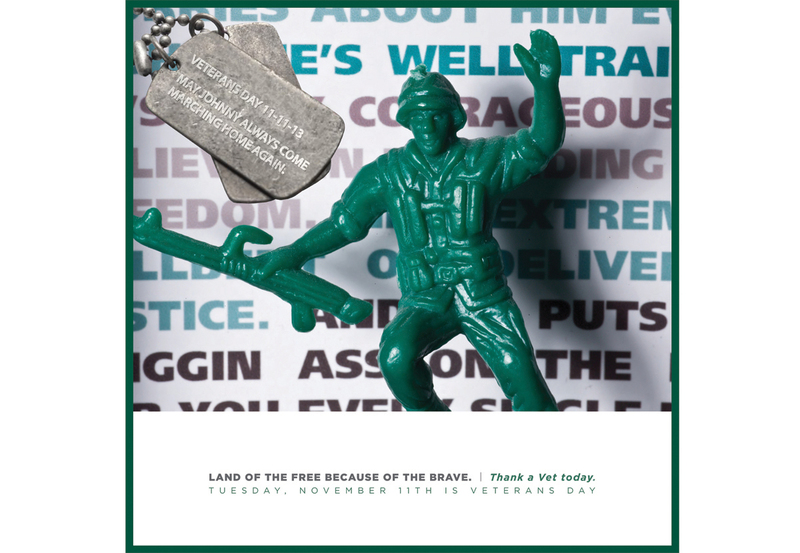 We support our troops and the severe life altering injuries such as amputations and head traumas that may occur in battle. 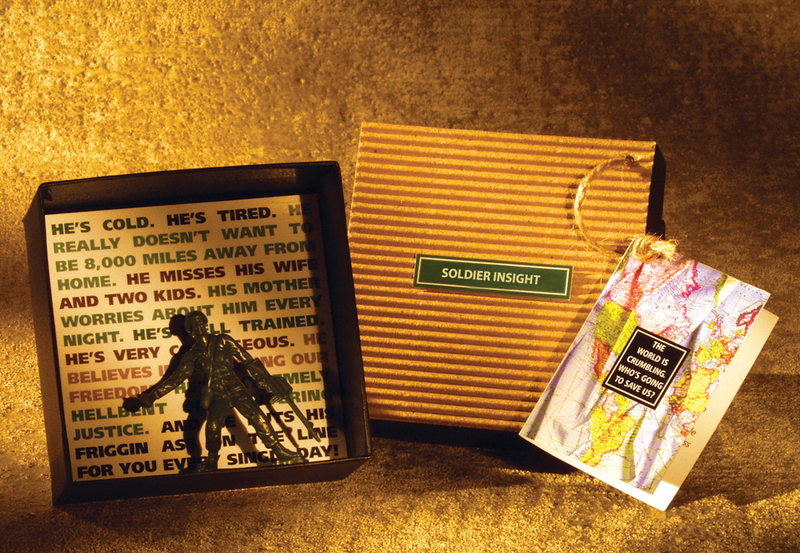 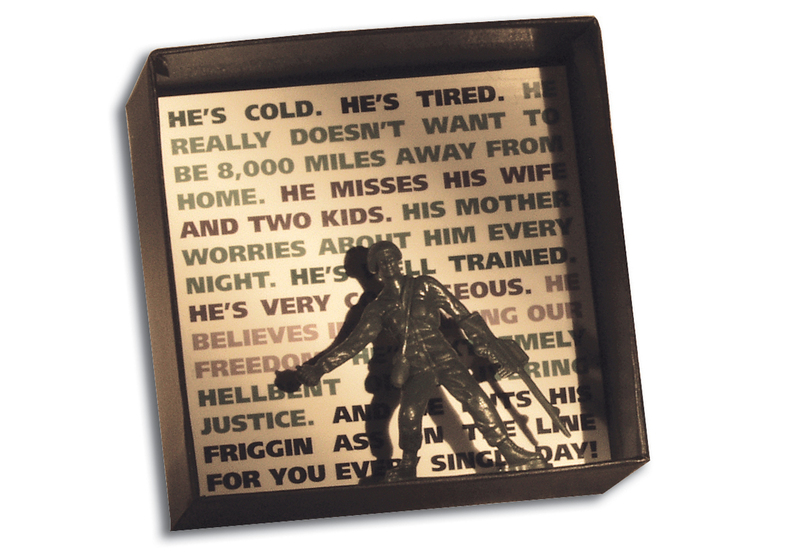 Our “Soldier Insight” 3D box was distributed to local VFWs for donations and is a simple thank you and appreciation for the American soldier.